The first engine trouble code reader for the home mechanic! 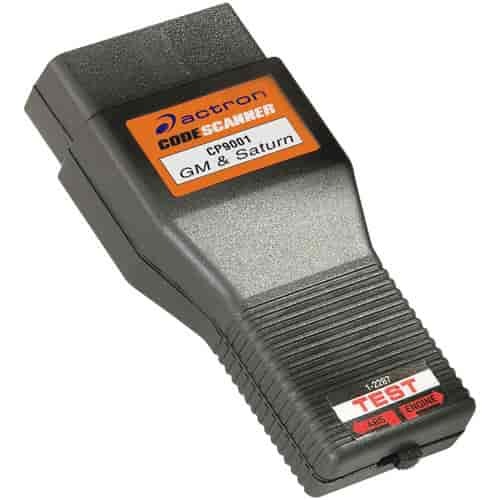 easy to use plug in code scanner lets you accurately trouble shoot car problems in 1984-95 MCU and EEC-IV systems. A light flashes trouble codes which you cross reference in the code manual. For use with Ford, Lincoln and Mercury applications. Instructions provided in both English and Spanish. Comes with one year warranty and is battery operated for safety. (Battery not included). This easy to use code scanner now makes it possible for you to access and read computer service codes on 1982-93 GM vehicles (except Cadillac). Simply plug scanner in to Assembly Line Diagnostic Link (ALDL) in vehicle and look up code in the Sunpro cross reference manual. Includes English, Spanish and French instruction manual and a one year warranty.